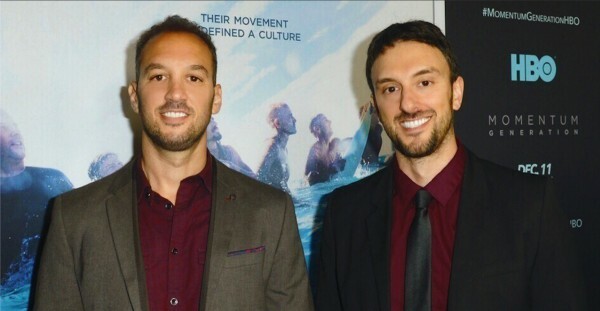 Production house Interrogate is teaming up with filmmaking team Jeff and Michael Zimbalist and their Peabody Award and Sports Emmy-winning media company, All Rise Films. The newfound partnership signifies an expansion for both companies, with Interrogate--which maintains offices in L.A., New York and Sydney--also handling commercial representation in both the U.S. and Australia for the Zimbalist brothers as a directorial duo. This marks the Zimbalists’ first formal representation in the ad arena. Whether they’re making the Oscar-shortlisted documentary Favela Rising, the gripping ESPN 30 for 30 film The Two Escobars, or chronicling the aftermath of the Chapecoense football club in Brazil after a tragic plane crash in Nossa Chape, the Zimbalists share a willingness to dive deep into the worlds of their subjects. This has led the siblings to be sought out by clients including BET, PepsiCo, Quincy Jones, Imagine Films and the United Nations. George Meeker, executive producer at Interrogate, said he was taken with the Zimbalists after seeing Momentum Generation. Meeker related, “I’m a surfer, and even grew up surfing with one of the subjects of the film. No one ever captures the authentic feeling of the surfing world the way they did.” After looking up the Zimbalists, Meeker realized many of his favorite episodes of ESPN’s much-loved 30 for 30 series were made by the duo.